Desire, hard work, belief – these are 3 things that reside in every Soccer girl’s heart. It’s okay if you’ve never kicked a ball before; let alone play soccer. Many of us started off with little to no experience too! All you need to have is a positive attitude when it comes to learning, and the right mindset as a team player. The rest will soon come, of course, with weekly trainings on Monday, Tuesday and Friday from 4:30pm to 7:30pm. ‘The rest’ refers to your passion for the game; that space in your heart that’s specially set aside for your teammates; your skills and ability as a soccer player; and lastly (and probably most importantly), your desire to want to end each training and game in victory, which would make all the effort, injuries, tears, sweat and blood worth it. Even with having no students that come in through DSA, just raw talent coming in to form a team has never put us at a disadvantage. In fact, previous batches have done extremely well in their National Schools Championships tournament. From a CCA with few training equipment and irregular training venues, our coach Mr. Leong and predecessors have worked their way up to leave behind a legacy. The very fact that this CCA has come so far from its humble beginnings spurs us on to work hard and give our all every training to continue that legacy. Besides that, you certainly need hard work from your body as well as your mind, especially on Mondays – our physical training day. This is Mr Leong’s favourite day of the week, where he can stand at the side and laugh at his girls running round the track, completing 21 stations of circuit, or running laps following the beep sound coming from his iPad. PT will be tough, but it will also be worth it. 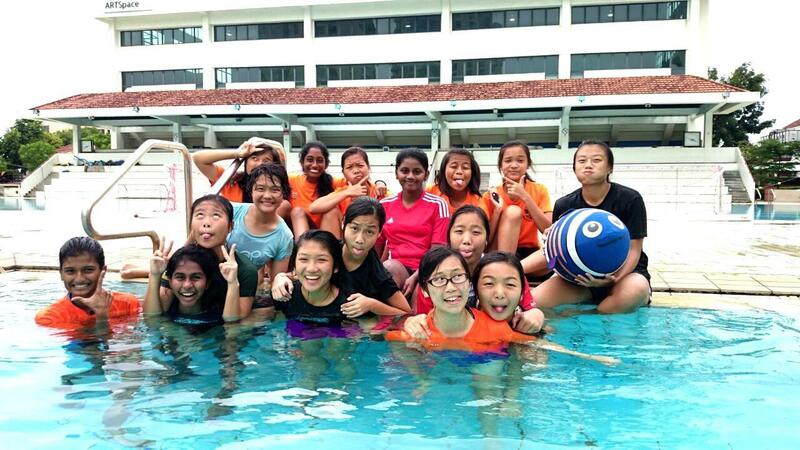 As Mr Leong always says, “PT is the best way to bond”, and it truly is. From high-fiving one another after surviving each PT day, to running extra rounds/laps with those who have yet to finish their set – your love and care for your teammates will surely grow, because you know they’ll always have your back and are there to say “jiayou!”. Last but not the least, believing is the foundation of it all. Without belief, there’s really no point in doing what we do. Believing is crucial, because when you’re having a bad training or a bad game, it’s the one thing that tells you, “Snap out of it! Forget the mistakes you made before, you need to focus and believe and have faith in yourself so that you can get up stronger and better.” The same goes for when your teammates believe in you- the encouragement and advice from them never go to waste. 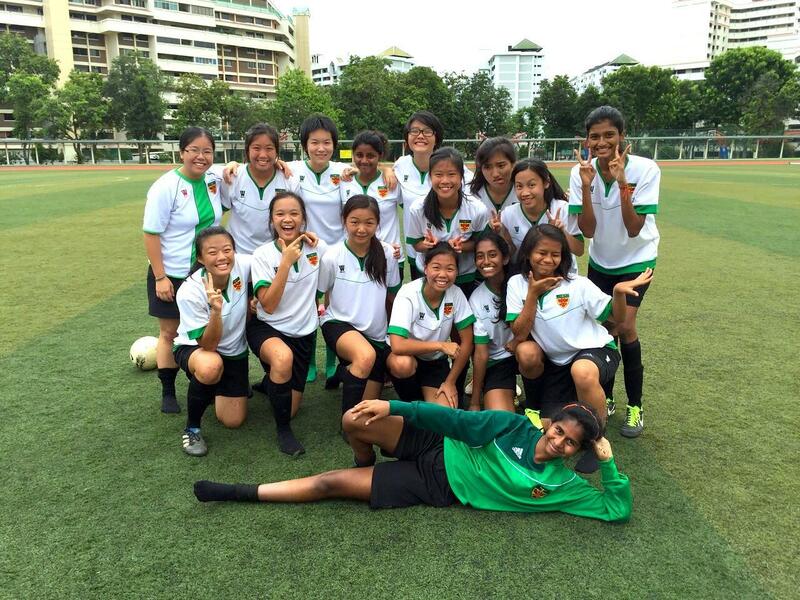 To end off, this CCA is one that will help you to become a better player, a better student (Mr Leong will always tell you to “go home and study la!”), and a better person, because soccer girls are in good hands. Our teachers and coaches are an amazing and funny bunch of people who will never fail to make you smile and laugh every training. So don’t be afraid to try out for soccer even if you think that you can’t kick a ball for nuts; just believe.